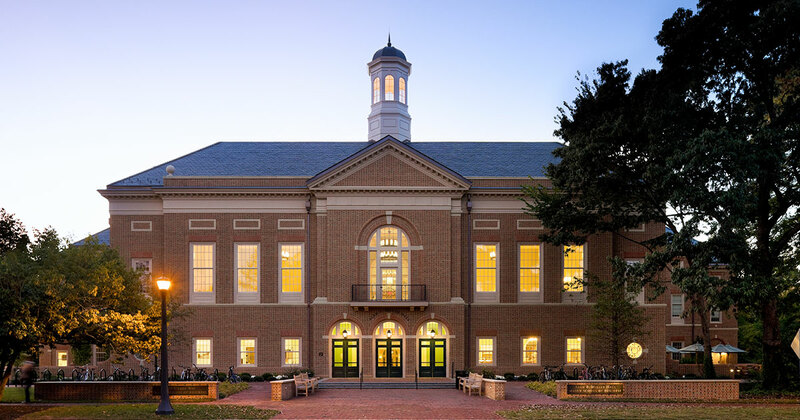 Twenty-five students at William & Mary’s Raymond A. Mason School of Business will be inducted tonight into Beta Gamma Sigma, the scholastic honor society for business education. The 23 undergraduates and two graduate students have distinguished themselves through outstanding performance. The undergraduates rank in the top 10 percent of their academic class, and the graduate students rank in the top 20 percent of their class. Beta Gamma Sigma was founded in 1907 and is a global network of more than 830,000 lifetime “Best in Business” members. It is the scholastic honor society dedicated to ideals essential to a worthy life and a commendable career. It connects students from more than 580 collegiate chapters worldwide. William & Mary’s chapter was formed in 1973 and has recognized more than 2,300 students with membership. It is the only honor society officially recognized by the Raymond A. Mason School of Business. Today’s induction ceremony begins at 6 p.m. in the chapel of the historic Wren Building, 111 Jamestown Road. The featured speaker is Niles K. Chura, a partner and senior analyst at Kennedy Lewis Investment Management in New York. Chura earned his undergraduate business degree in 1991 from William & Mary and his MBA in 1998 from the Yale School of Management.